The choice of Vinyl flooring available today is phenomenal from the many different manufacturers to the thousands of different designs and colours. 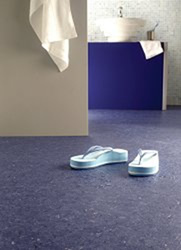 Prices range from £10 per square meter to £80 per square meter. So there is something to suit every room and every budget. Very popular is the wood effect flooring vinyl with colours and designs of most the different woods from old Oak to Beech. Then again perhaps you prefer a tiled design from marble to terracotta, or just a plain pattern or colour it’s all available at Regency Carpets. Why not call in to our showroom to get an idea of what you would like then perhaps take home a selection of sample books to see what they look like in area you are flooring. We will come along and measure up and give you a no obligation quote to supply and fit.